We are a caring and outgoing dental team dedicated to exceeding expectations in a welcoming and comfortable environment. Through state of the art technology, life long education, and expert guidance, we provide comprehensive dental care to every unique individual we treat. Our family of patients partner with us to optimize their oral health realizing that it is an integral component to their quality of life. The anchor of our values and commitment to our patients is centered on prevention with a focus on the patients ability to continue beneficial behaviors at home. We strive to communicate as a team to ensure each patient has an exemplary experience that they would want for their family and friends. Simply, we create memories with a smile. 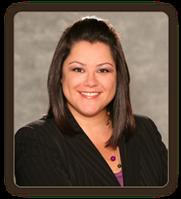 Services Melissa Amaral, DDS is a dentist/dental office located in Reno, NV. A dentist is trained to diagnose, treat, and prevent diseases of the gums, teeth, and jaw. Please call Melissa Amaral, DDS at (775) 825-9353 to schedule an appointment in Reno, NV or get more information. This office one of the many during confounding and frustrating years I spent trying, unsuccessfully to find a Reno dentist and staff who are professional, clean, up-to-date, courteous, kind, posted my payments, treated me with honor, were accommodating to my disabilities, and were respectful of my time by being on time. I wasn't greeted at all when I entered their office. I could tell they noticed I walked in, but they still didn't acknowledge me. I was hoping to get some sample toothbrushes or toothpaste after my appointment, but I didn't get anything. They didn't tell me anything about my treatment options. I left feeling very confused and frustrated. Whenever I have a question, even if it's very basic, they always make me schedule an appointment, which is extremely frustrating. I found this staff and dentist arrogant, full of themselves and it was all about them. I had called this office Bc they said they treat children. I took my 2 year old in the worst experience ever. Dr. Nick can't treat kids he didn't do anything Bc a 2 year old will not open his mouth wen told. They charged me $65 for the visit literally just took my money for doing nothing. Will never go back to this office or recommend to anyone. They just wanna take your money.